This Ranger Western Quilt set includes the reversible quilt and pillow sham(s). The Ranger features a Texas Flag and colors. Many coordinating accessories to make this set your own personal decorators touch. Machine washable. 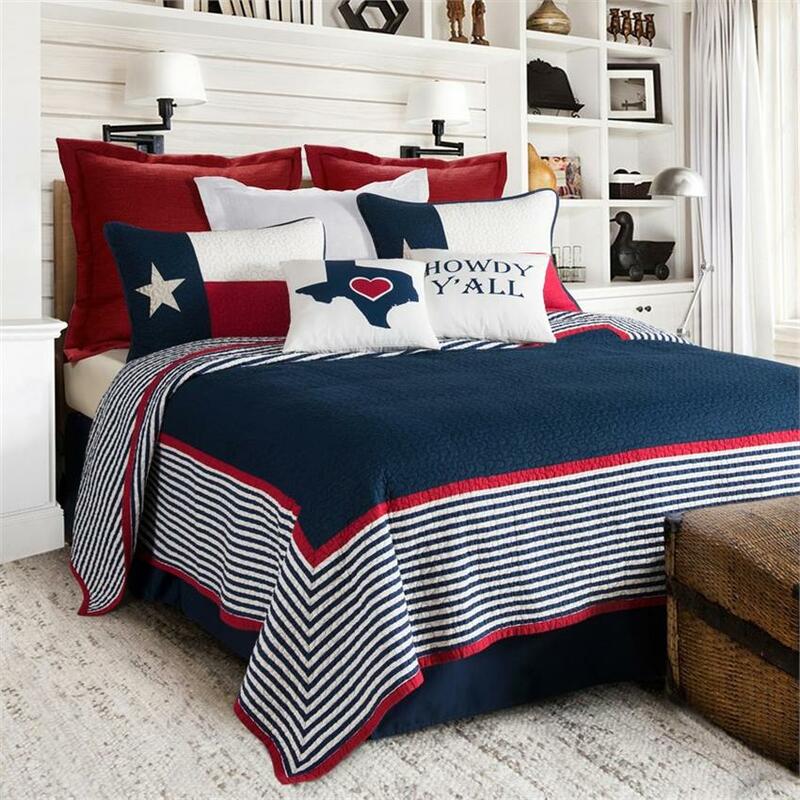 Finish this Western bedding set off with optional distressed faux leather euro sham and cream Navajo embroidered western bedding sheet set. Finish the room in western decor with barbwire embroidered western window curtains. Other matching barbwire embroidered items can be found in our western bath decor barbwire bath accessories, barbwire towel set, and barbwire western shower curtain. In our western pillows & throws we have barbwire pillows and barbwire throw blanket.